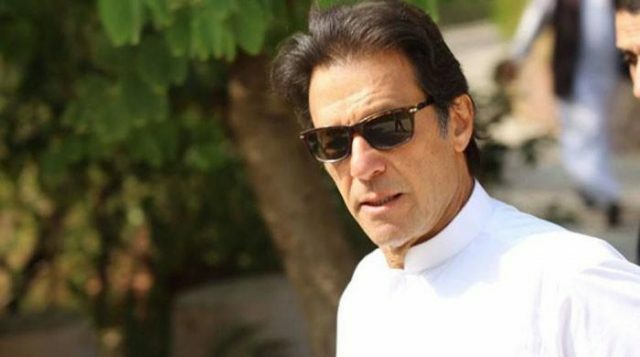 On July 26, 2018, the current chairman of Pakistan Tehrik-e Insaf (PTI, lit: Pakistan Movement for Justice), party and the leading prime ministerial candidate in the 2018 Pakistan General Elections, Imran Khan have declared victory in the country's July 25 national elections in a televised speech. Khan said "thanks to God, we won and were successful," adding that "if God wills, we will set an example." The elections mark only the second time in Pakistan’s 70-year history that a civilian government has completed a full term and handed over power to another civilian administration through the ballot box. However, the Pakistan Muslim League-Nawaz (PML-N) and several other parties have rejected the results and alleged major vote-rigging and manipulation. Imran Khan is a Pakistani politician and former cricket star. He was a member of the National Assembly of Pakistan from 2013 to 2018, a seat he won in 2013 general elections. Prior to entering politics, Khan was an international cricketer and philanthropist. He played international cricket for two decades and led Pakistan to victory at the 1992 Cricket World Cup, Pakistan's first and only victory in that competition. Khan retired from cricket in 1992 as one of Pakistan's most successful players. In total, he made 3,807 runs and took 362 wickets in Test cricket, and is one of eight world cricketers to have achieved an 'All-rounder's Triple' in Test matches. In April 1996, Khan founded the PTI, a centrist political party, and became the party's national leader. Khan contested for a seat in the National Assembly in October 2002 and served as an opposition member from Mianwali until 2007. He was again elected to the parliament in the 2013 elections when his party emerged as the second largest in the country by popular vote. Khan serves as the parliamentary leader of the party and leads the third largest block of parliamentarians in the National Assembly since 2013. Currently, his party also leads a coalition government in the north-western province of Khyber Pakhtunkhwa under the leadership of Pervez Khan Khattak. Extremist and banned groups, including Mumbai terror attack mastermind Hafiz Saeed-backed Allah-o-Akbar Tehreek (AAT), have failed miserably in this election, despite putting their efforts in massive campaigning. Hundreds of individuals linked with hardline and banned groups were competing in the polls but so far, according to the unofficial results, none of them was seen as winning a seat in the national or provincial assemblies. Only few could garner a respectable number of votes including Maulana Muhammad Ahmad Ludhianvi whose name was removed from a banned list called Fourth Schedule ahead of the election and allowed to contest, inviting international backlash. Geo TV reported that Ludhianvi received more than 45,000 votes but was nowhere close to the victory. Before the elections, concerns have been raised in the country over the participation of hardline Islamist groups in large numbers. Mili Muslim League linked with Saeed fielded dozens of candidates from the AAT as it was denied recognition by the Election Commission of Pakistan (ECP). Saeed himself led the campaign by addressing several rallies but his candidates have not seen anywhere near victory. Hafiz Talha Saeed, the son of Saeed, contested from the NA-91 seat from Sargodha (about 200-km from Lahore), the hometown of the Jamaat-ud Dawa leader. Saeed’s son-in-law, Khalid Waleed, was a candidate in PP-167. Tehreek-e-Labaik Pakistan (TLP), a Sunni sectarian group, fielded more than 100 candidates but none of them came close to victory, according to unofficial results so far. Mutahida Majlis-e-Aml (MMA) was the biggest religious alliance of several leading parties was leading on only eight seats of national assembly despite a massive campaign by its leader which included influential Maulana Fazlur Rehman. At the beginning of July, a bombing took place in Ramzak Tehsil of North Waziristan at the office of Malik Aurangjeb Khan, Pakistan Movement of Justice's candidate for NA-48 (Tribal Area-IX), leaving 10 people injured. On July 7, a bomb planted in a motorcycle was remotely exploded at an election campaign of Muttahida Majlis-e-Amal's PK–89 candidate Shein Malik in the Takhti Khel area of the Bannu. On July 10, a suicide bombing attack claimed by Tehrik-i-Taliban Pakistan (TTP) on a political rally of Awami National Party (ANP) in YakaToot neighborhood of Peshawar left twenty people dead and 63 others injured. Among the killed was ANP's Khyber Pakhtunkhwa Assembly candidate, Haroon Bilour. Following Bilour's death, elections for Constituency PK-78 were postponed to a disclosed date by the ECP. On July 12, a spokesperson for former Member of National Assembly Alhaj Shah Jee Gul Afridi was killed and another citizen was injured after unidentified men opened fire at the spokesperson's car in Peshawar. On the same day, the Balochistan Awami Party (BAP)'s office in Khuzdar came under gunfire before a bomb detonated injuring 2 people. On July 13, two separate bombings on election rallies in Mastung and Bannu left 154 people dead and injured more than 220 others. In Bannu, 4 citizens were killed and 10 were injured after a planted bomb exploded near the car of Jamiat Ulema-e Islam (F) (JUI-F) candidate Akram Khan Durrani. In Mastung, a suicide bomber affiliated with the Islamic State of Iraq and the Levant (ISIL) blew himself up at the election rally of BAP's candidate for the Balochistan Assembly, Nawabzada Siraj Raisani, killing him and 148 others people and injured over 186. On July 22, Ikramullah Gandapur (PTI's candidate for constituency PK-99) and his driver were killed after a suicide bomber blew himself near his car as he was headed towards a corner meeting in the outskirts of Dera Ismail Khan. The same day, unknown gunmen opened fires on the vehicle of Durrani in Bannu. No one was hurt during firing as the vehicle was bulletproof. This was the second unsuccessful attempt to assassinate Durrani and a third terrorist incident in the city in the span of two weeks. On July 22, four people were killed including three Pakistani Army soldiers in Kech District, Balochistan. On July 25, during polling in Quetta, a bomb went off which resulted in 31 people being killed and 35 were injured. In Swabi, a city in the northern province of Khyber Pakhtunkhwa, one person was killed and three injured after PTI supporters exchanged fire with those from the secularist Awami National Party (ANP). At least three other people were injured in a grenade attack outside a polling station in Larkana, in the southern province of Sindh. In Khanewal, a man was shot dead and another one was injured in a political clash.